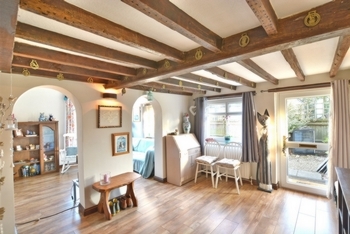 GUIDE PRICE £325,000 - £350,000. 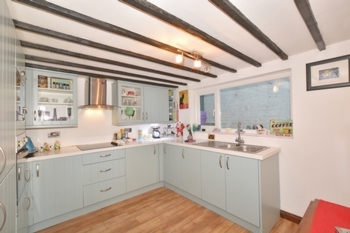 This beautifully presented and charming period cottage is located within the Village of Pease Pottage. 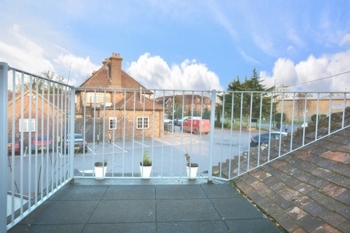 The property offers spacious living accommodation with internal period features throughout with the added benefit of a first floor roof garden. 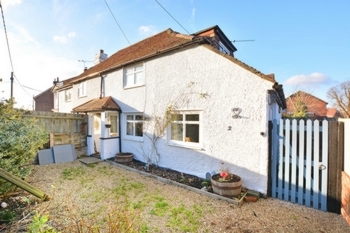 This spacious and superbly presented semi-detached Period Cottage is located within the Village of Pease Pottage with excellent access to Crawley Train Station, Gatwick Airport, and M23 north and south bound. 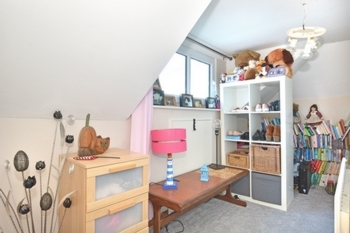 This Cottage makes an ideal family home for those needing to be close to multiple transport links, whilst being in a much sought after and convenient location. 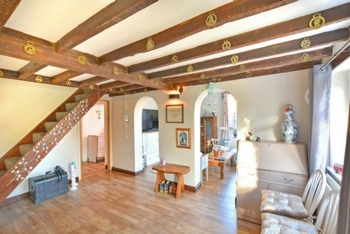 The property has been upgraded by the current owner and gives someone the opportunity to move straight in and enjoy. On arriving at the property a wooden gate leads you into the front garden with porch to the front door. 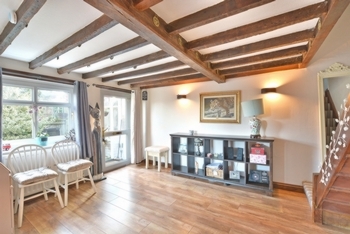 On entering the property your walk immediately into the part open plan dining area which provides access to the kitchen, lounge and stairs to first floor all with beautiful wooden flooring. The exposed beamed dining area makes and ideal room for entertaining friends or family. 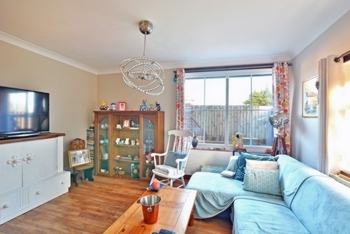 There is plentiful floor space for a 6/8 seater dining room table and chairs and free standing furniture. 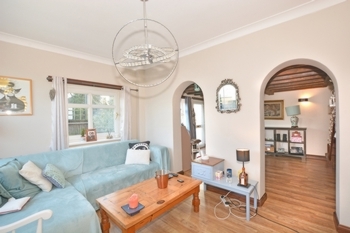 There are two feature arches which lead through to the light and bright lounge. The double aspect lounge features two oversized windows which allow plenty of natural light to flood through. Within the lounge there is space for free standing sofas and additional lounge furniture. 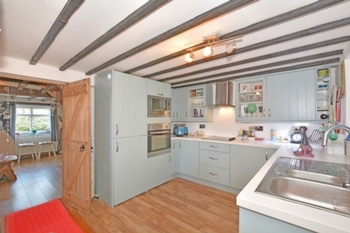 To the rear of the Cottage is the stylish re-fitted kitchen which provides access to the re-fitted bathroom and utility room. The kitchen benefits form a generous range of base and eye level units which include glazed displays eye level units. There are integrated appliances which include the oven, hob, microwave and dishwasher. 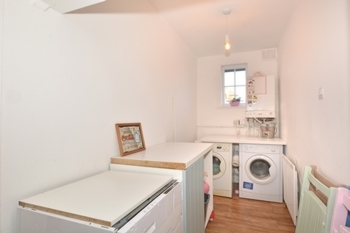 Within the utility room there is space for a washing machine and tumble dryer (which are included in the sale). 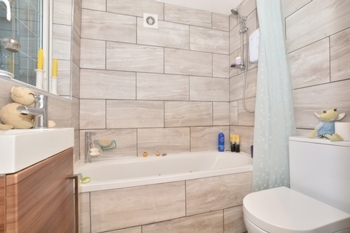 The bathroom offers a re-fitted three piece white suite which set against beautiful tiling and window to the rear. 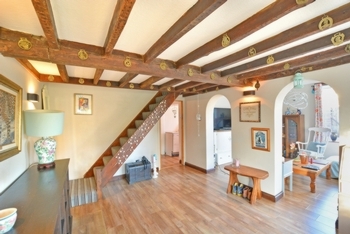 The open wooden stairs case lead to the first floor and provides access to all bedrooms. 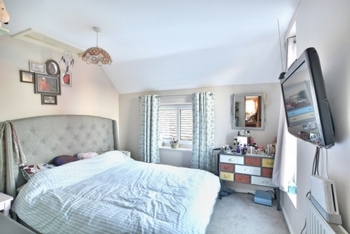 the master bedroom can comfortably hold a king-size bed with free floor space for additional bedroom furniture. The is a side aspect window and a door which leads out onto the roof garden. 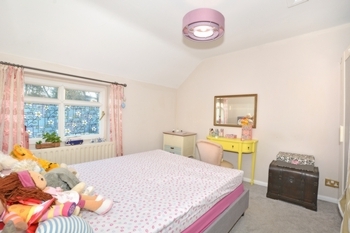 Bedroom two can also comfortably hold a king-size bed and overlooks the front of the property. Bedroom three/study has been created by converting part of the loft area. To the outside there is a small paved side and rear courtyard area. The front garden could with the necessary planning permissions create a driveway for two cars. NB:- THE PROPERTY IS CURRENT ON BOTTLED GAS. MAINS GAS HAS BEEN PLACED IN THE ROAD AND CAN BE CONNECTED TO FORGE COTTAGE UPON REQUEST.